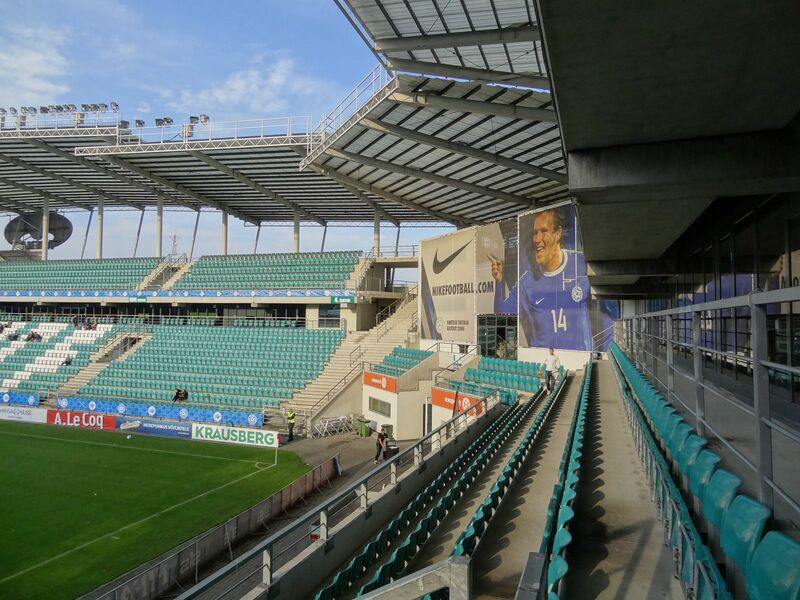 New national stadium for Estonia and incidentally the first football-specific one was built south of the city centre, squeezed between rail lines. 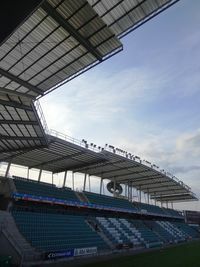 Official opening took place in 2001, but it took four more years until the structure was fully delivered with proper roof (north side uncovered for over 10 years). 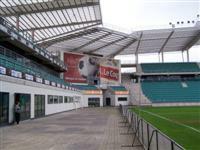 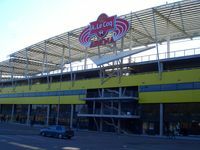 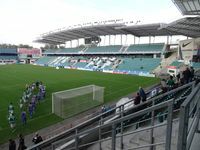 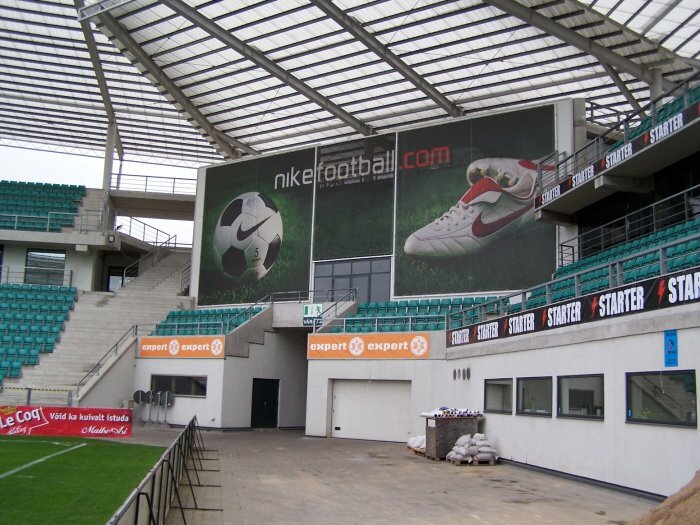 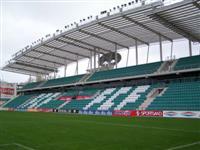 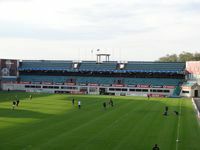 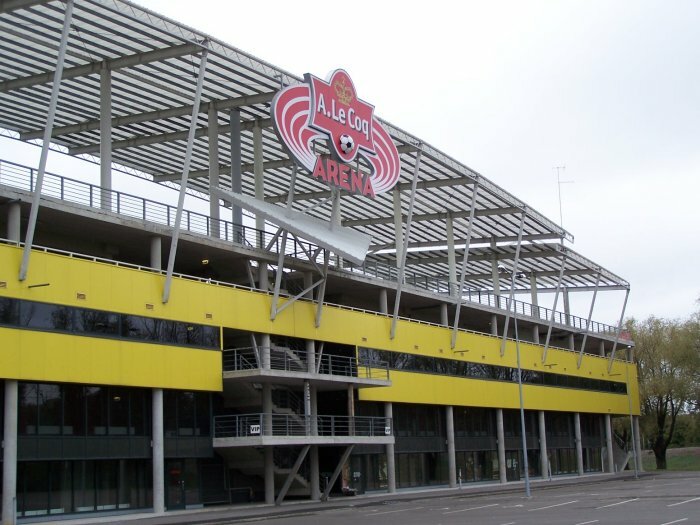 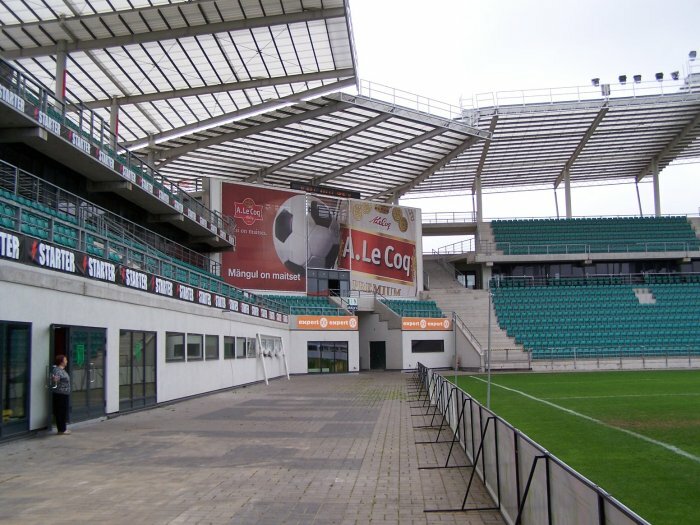 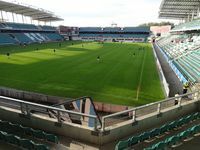 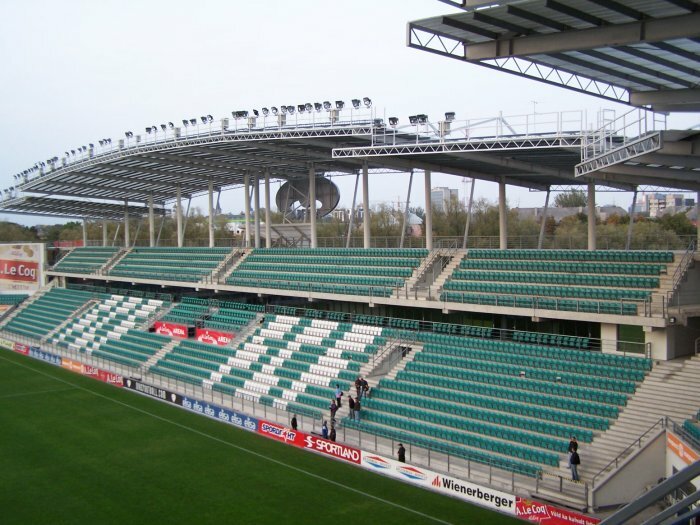 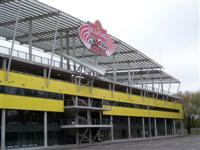 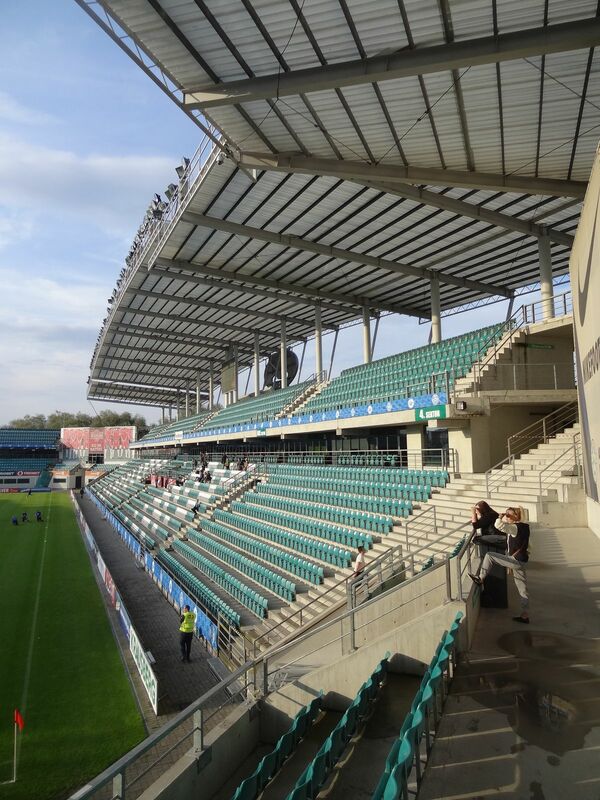 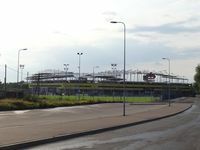 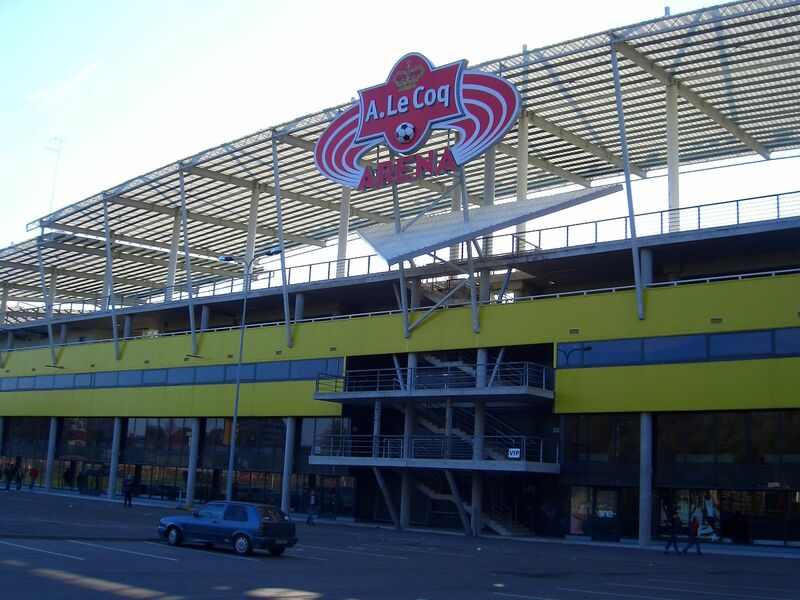 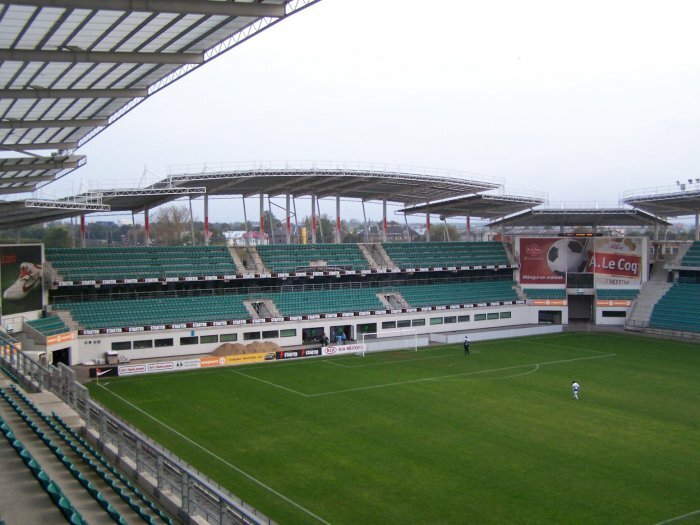 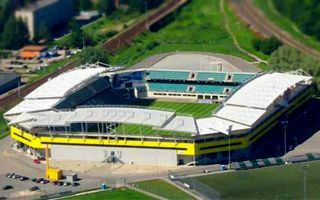 A Le Coq Arena (as it’s known under a naming rights deal) was initially built as a public project, then had part of shares acquired by Flora Tallinn and now is fully owned by the Estonian football association. 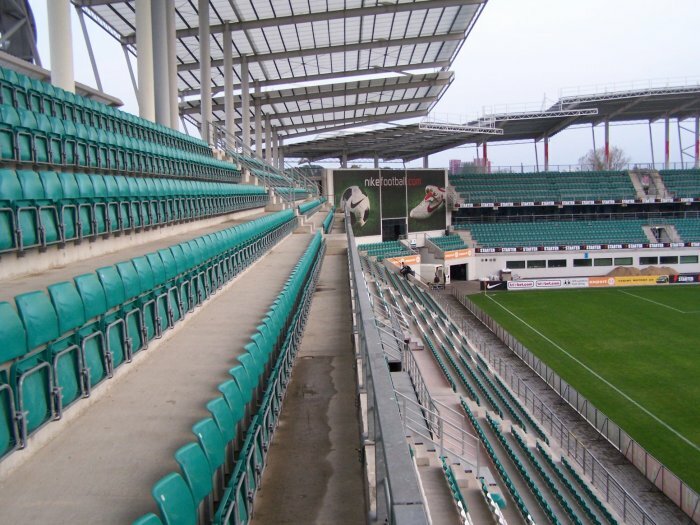 The double-tiered stands hold almost 10,000 people and very rarely get filled in a decent manner for domestic games. 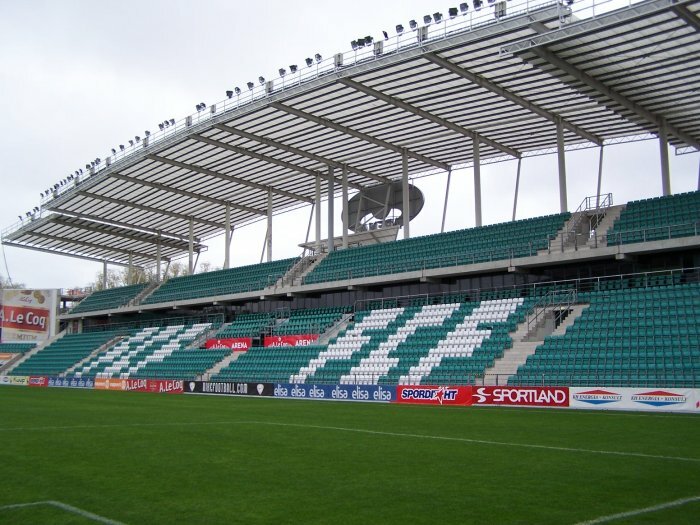 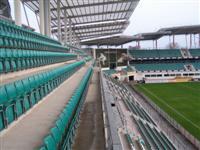 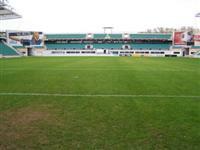 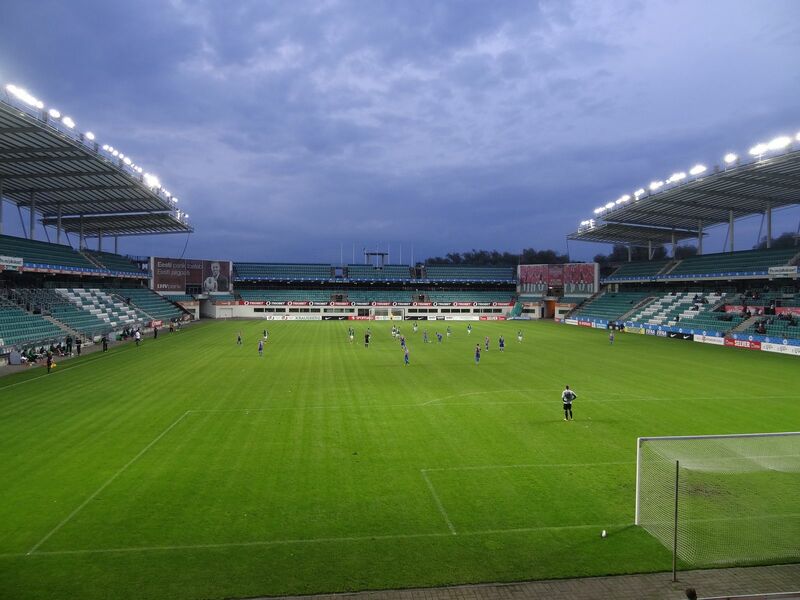 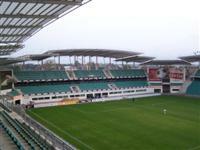 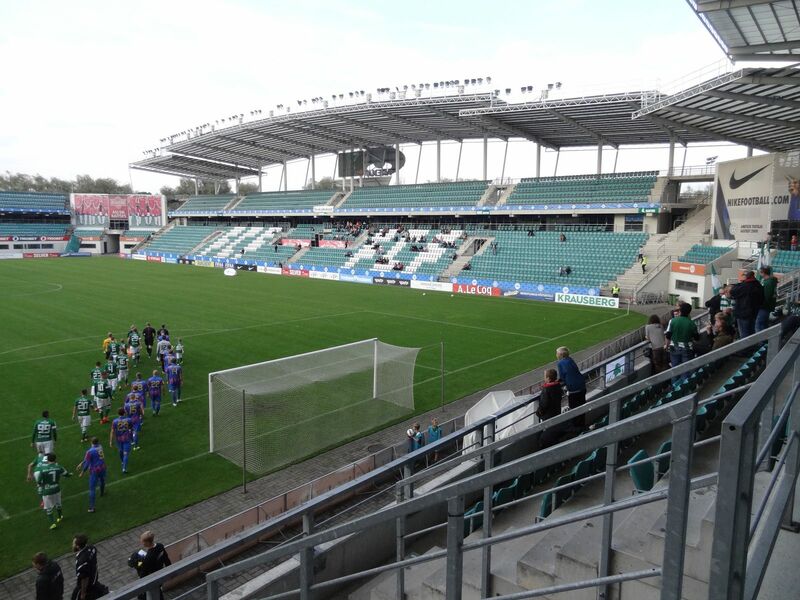 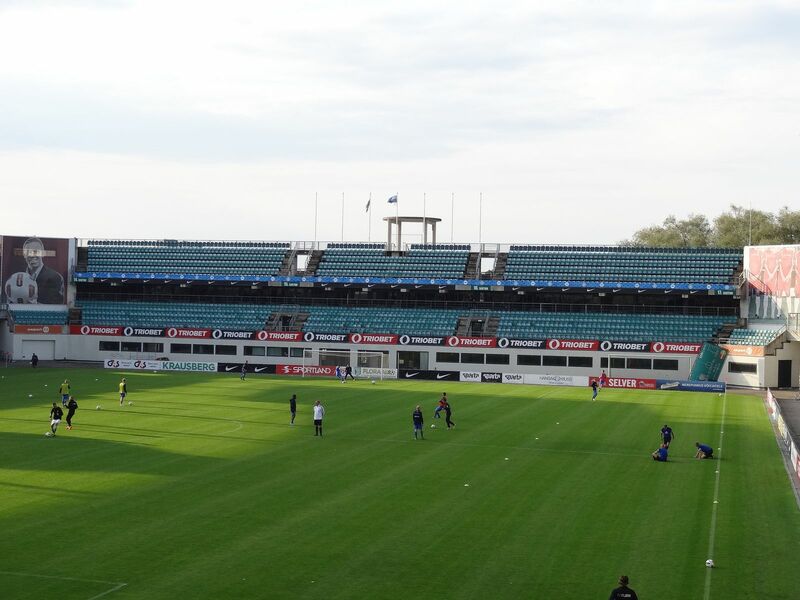 However, Estonian national teams played many memorable fixtures here, as well as clubs in European tournaments. 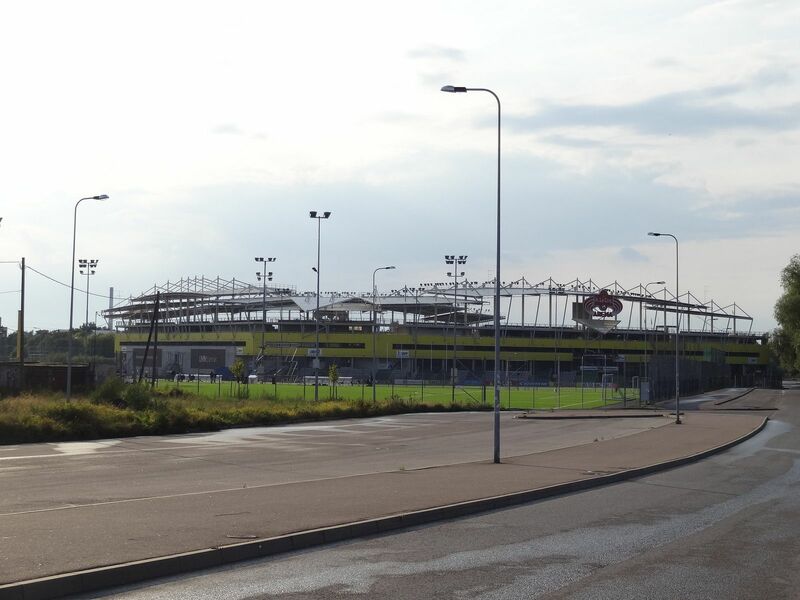 In 2015 decision to expand the stadium was taken. 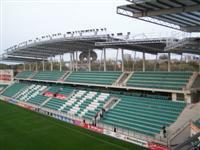 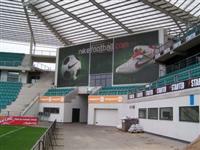 First, the north stand received its missing roof. Then new front rows were created betwen the field and auditorium, while additional rows on steel structure were added beneath the elevated roof. 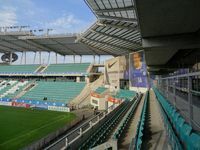 With the capacity reaching 15,000, the stadium secured hosting rights for the 2018 Super Cup, becoming the smallest one to hold this prestigious game. 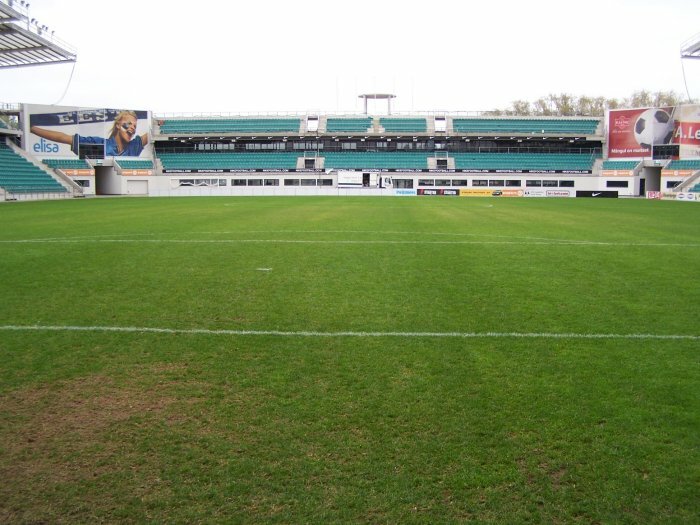 In the years following its inauguration, the stadium saw four training fields added to the south, two natural and two synthetic (one covered).